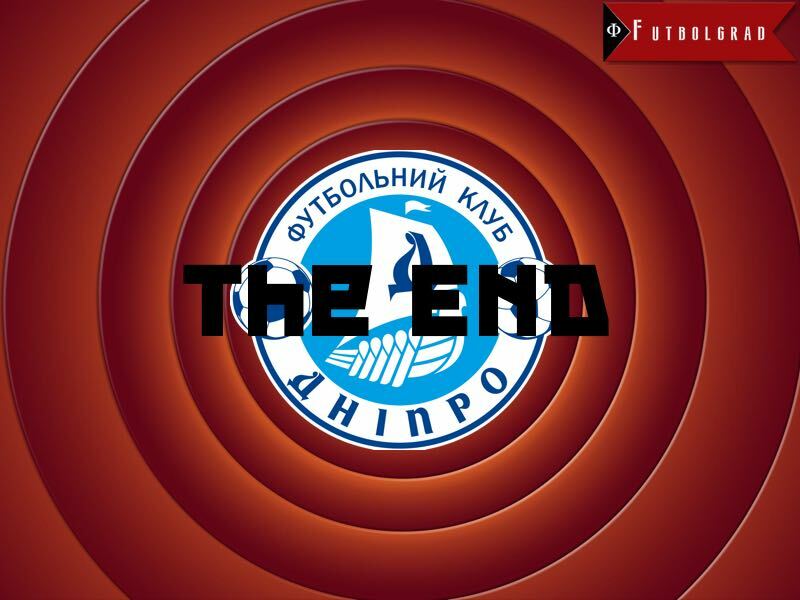 The end for Dnipro FC has been a long time coming. The club, which was formally known as Dnipro Dnipropetrovsk (the city name was shortened to Dnipro as part of Ukraine’s anti-communist laws) has been on the brink of extinction for the better part of the last two seasons. FIFA has already punished the 2015 Europa League finalist for failing to pay money owed to former players, as well as to former coach Juande Ramos and his coaching staff. Before the start of the season, Dnipro FC was deducted six points as punishment for failing to pay the debts. Many are wondering if other European clubs will face bans for similar reasons. Sports Betting Dime have odds on coaches to be fired, but odds on which European club faces disciplinary action could be next. Furthermore, the European governing body, UEFA, banned Dnipro FC from this season’s Europa League in April 2016. That ban, in particular, meant that the few stars who remained with the club left this summer, and that Dnipro FC started the season more or less with a strengthened youth side. There were even suggestions, at one point last year, that Dnipro FC could cease to exists, but those rumours were quickly squashed by owner Ihor Kolomoyskyi. Yet the financial problems remained, and the club still has failed to pay off its debt. Kolomyskyi, in particular, draws an odd figure. The tycoon certainly has the money to pay off Dnipro FC’s debts, but at the same time he has lived a somewhat reclusive life in Switzerland and the United States—countries from which he obtained visas following his spell as the governor of the Dnipropetrovsk oblast. At same time, he strongly opposed media statements that the club had reached the end of the line, and would soon disappear. At the time he was right, for Dnipro had indeed been given a licence to participate in the 2016-17 Ukrainian Premier League. As mentioned above, however, FIFA forced the Football Federation of Ukraine to sanction the club with a six-point deduction going into the season. Furthermore, the world governing body set January 18, 2017 as the deadline for the club to pay off all its debts. There have been some reports that Dnipro FC have paid off some of the current players and staff of the youth academy. But tribuna.com have reported that Dnipro FC have now failed to meet FIFA’s January 18 deadline. FIFA will open disciplinary hearings against the club on January 31, and the club could face a further point deduction that, in the club’s current position (Dnipro are tenth with 12 points, and just two points ahead off the relegation places) could result in their being relegated to the second division. Therefore, even if FIFA choses not punish the club with straight relegation, which seems unlikely at the moment, the club could still disappear from the Ukrainian Premier League if the world governing body gives it a slap on the wrist by issuing another points deduction. Either way, one of Ukraine’s historic clubs seems to be on the brink of extinction, which is even more tragic given the recent disappearance of their rivals Metalist Kharkiv. It is unlikely that FIFA will deal lightly with Dnipro FC and, at this point, it seems very likely that the Ukrainian Premier League will kick-start the second half of the campaign reduced to eleven clubs. The bizarre part about the story, however, continues to be Kolomoyskyi who could easily make the problem go away by paying off the club’s debts. Kolomoyskyi is indeed known for taking negotiations to the final hour and beyond, as Liverpool FC experienced when he refused to let go of superstar Yevhen Konoplyanka in 2013. Could Kolomoyskyi be doing the same to FIFA by taking the club’s future to the disciplinary hearing? It would certainly not be out of character for him. Furthermore, he could even drag out any decision made by FIFA by taking the matter to CAS, or a civil court. There are precedents for the later action as SV Wilhelmshaven have demonstrated this season—the former Regionalliga side from Germany was relegated in 2012 after failing to pay their debts, but the decision was overruled by a civil court, which has now led to an awkward situation in which the club could be reintegrated into the fourth division next season. FIFA’s punishment, therefore, might not be final by any means. But Kolomoyskyi’s reluctance to spent any money on the club, and his residency abroad, suggests that Dnipro FC are not likely to follow the example set by Wilhelmshaven, and fight a decision by FIFA. What this means for Dnipro FC’s future remains to be seen—after all the club has been declared dead before—but, at the moment, it certainly does not look good.